EVERYONE SHOULD LOOK AT ME. And for those who need a story ... photographer Blake Suddeth took over a hundred digital pictures early Tuesday morning in order to capture this single, gorgeous 10 second exposure of a "Leonid of the Lake" meteor flashing by a very full of itself moon. 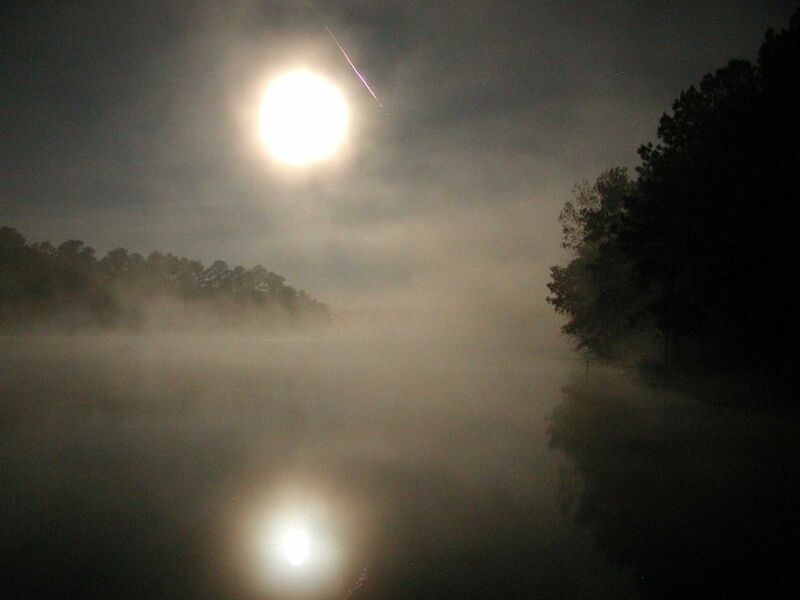 The dreamlike foreground lake and fog are courtesy of Greenwood, South Carolina, USA.